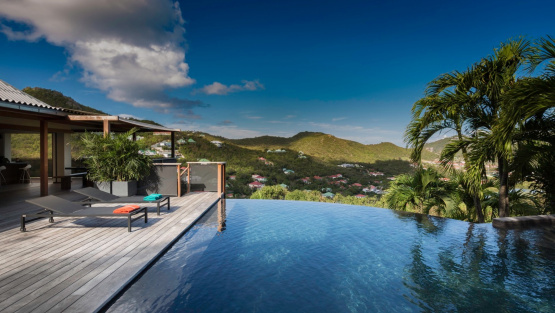 Spacious and modern, the Villa APACHE is ideally located in the St-Jean hillside, surrounded by a luxurious garden. 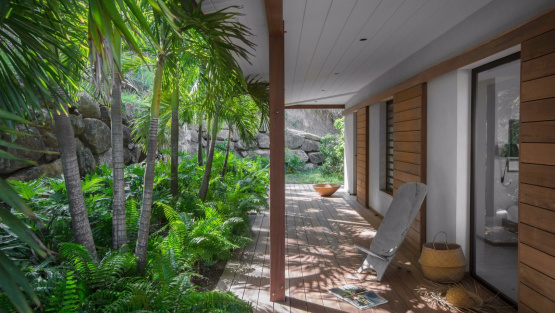 This is the perfect choice for groups of friends or family looking for quietude and privacy. 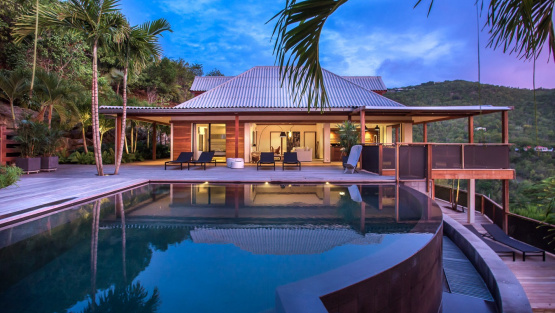 Villa APACHE is a modern and contemporary four bedroom villa located in St-Jean Hillside, just within minutes from restaurants, shopping, and beaches. 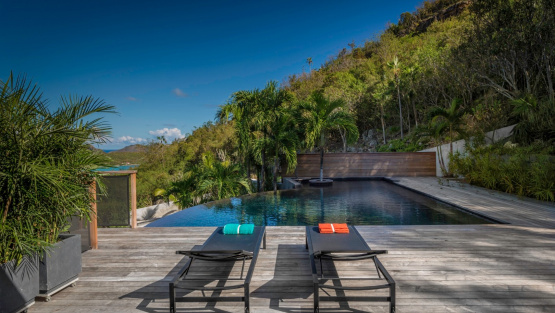 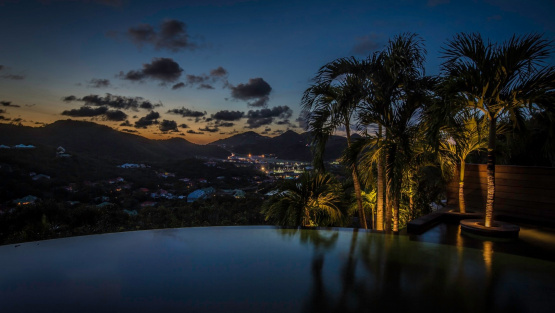 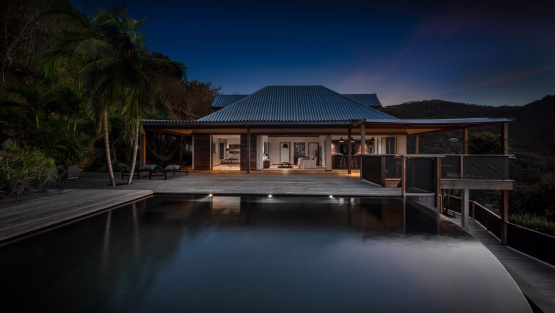 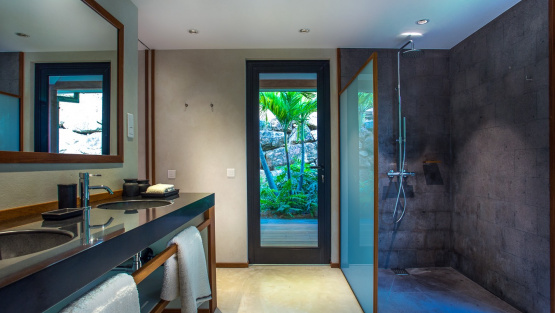 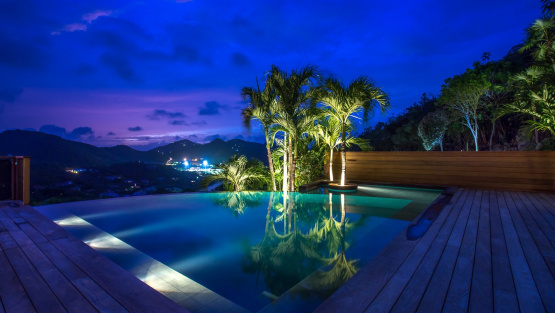 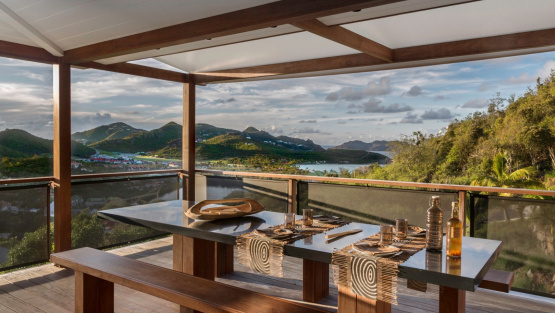 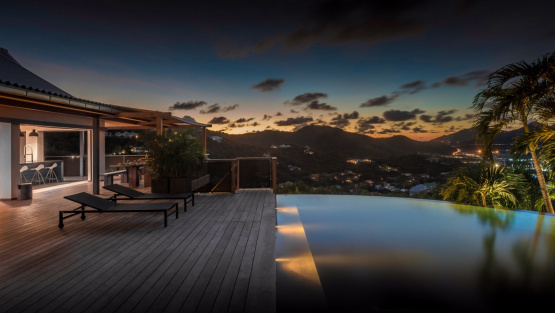 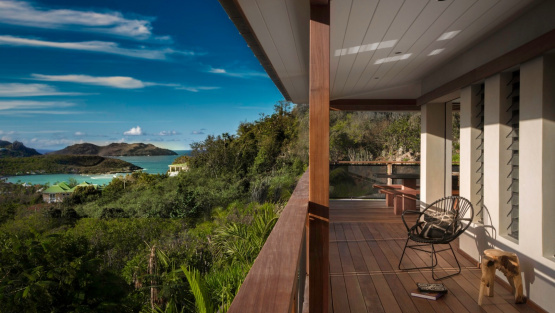 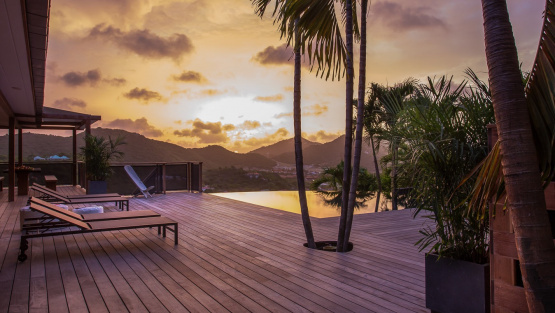 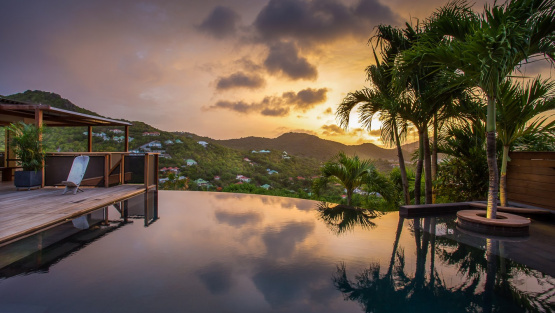 Designed over two floors, and situated at the end of a unique path, the villa offers total privacy and quietude, as well as breathtaking views on the Caribbean sea, the St-jean airport and the hills around. 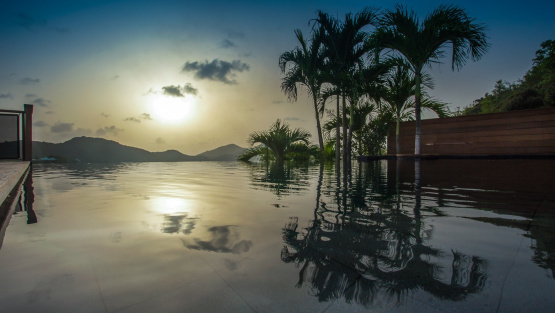 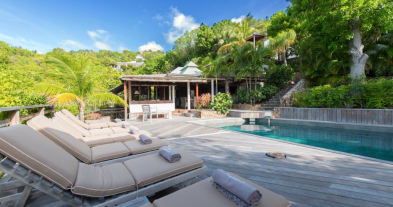 At Villa APACHE, family and friends can find their own peace and seclusion and enjoy a complete island escape. 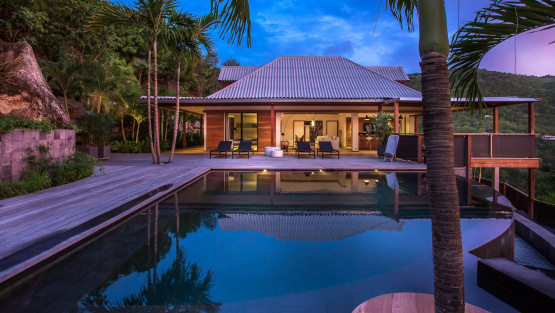 This precious and spacious Villa is fringed by tropical and lush gardens in order to create a haven of greenery, including exotic trees including mango and orange trees, and a majestic flamboyant. 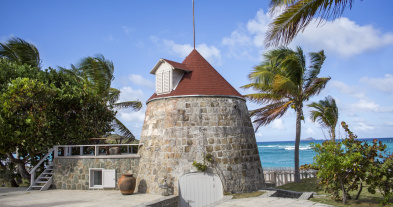 Large and very old royal palms enhence the unique experience of being at the Villa APACHE. 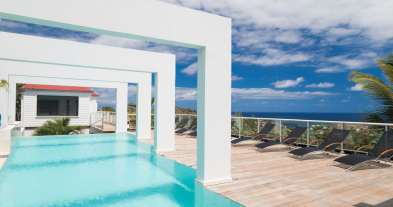 The infinity and heated pool is surrounded by the palms and bamboo and is made by natural stone walls, wrapped by a massive deck terrace ideal for relaxing and sunbathing on lounge chairs. 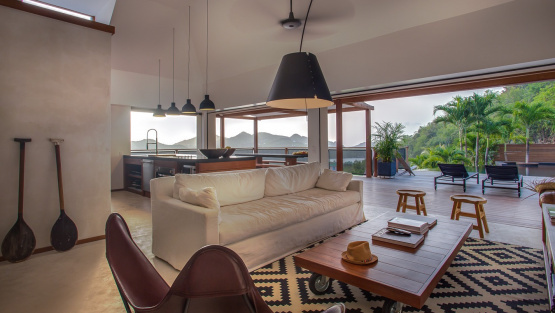 On the main Level, there are the living spaces, with a very contemporary and sleek living room, full of modern electronics, featuring large and comfortable sofas, and decorated with the best-sophisticated taste. 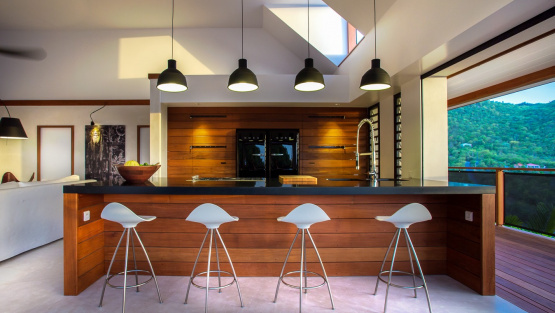 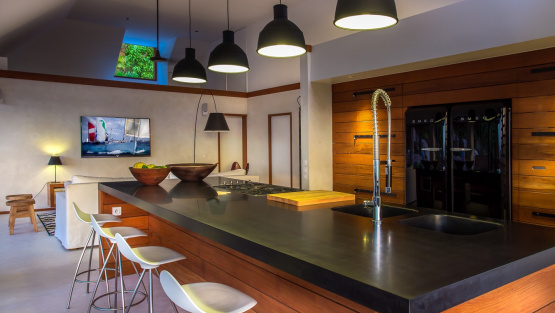 Adjacent is the fully equipped and opened kitchen, very stylish with a modern breakfast bar and barstools for socializing at a counter. 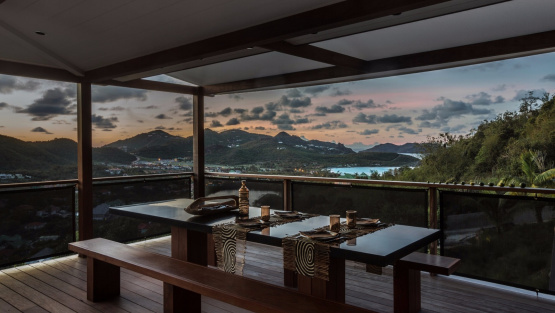 Widely opening to the covered terrace, there is an dining table for ten guests, enjoying the magnificent views over the St Jean bay. 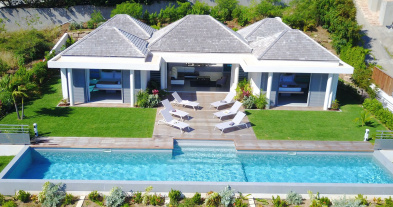 On this level are two luxurious master bedrooms with ensuite bathrooms, large dressing and the best amenities available, completely opening onto the villa expensive deck. 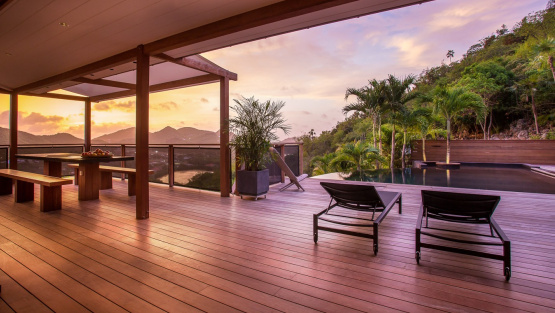 The two remaining bedrooms are located downstairs, with the same high-quality standards, with access to a lower decking and lounge areas, offering also outstanding views. 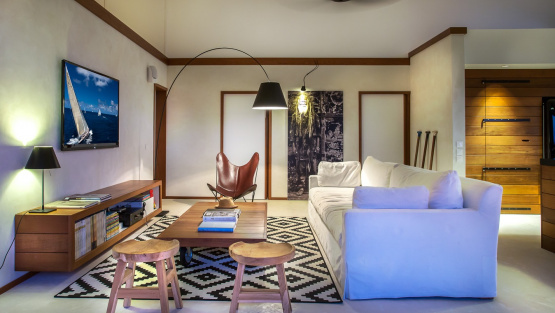 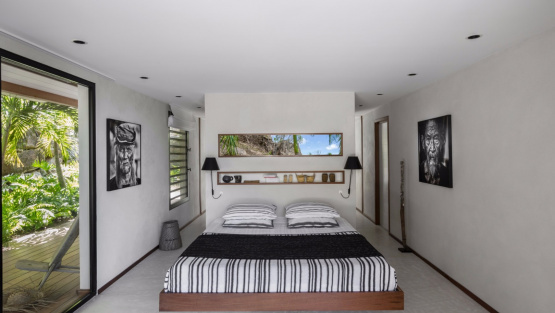 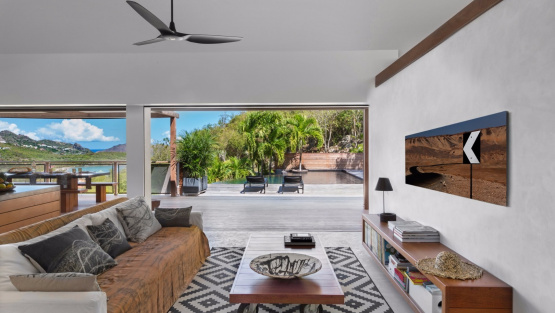 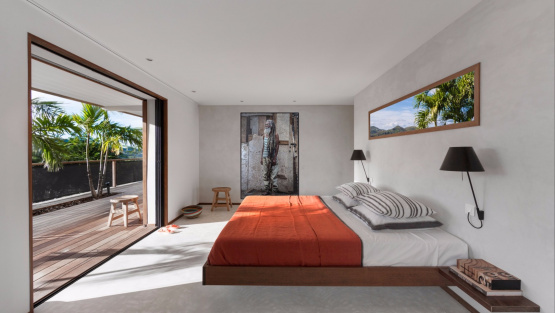 Privacy, quietude, and modernity are the keywords to describe Villa APACHE, this is the perfect choice for a relaxing vacation with family or friends. 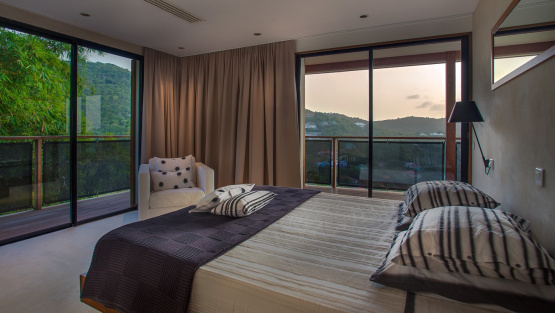 UPPER LEVEL: Euro king bed, extra lighting under the bed, A/C, Airplay speaker, iPod connection, safe, dressing room, ensuite bathroom, rain head shower, screened windows, private access to room, hair dryer, Hillside view, direct terrace and garden access. 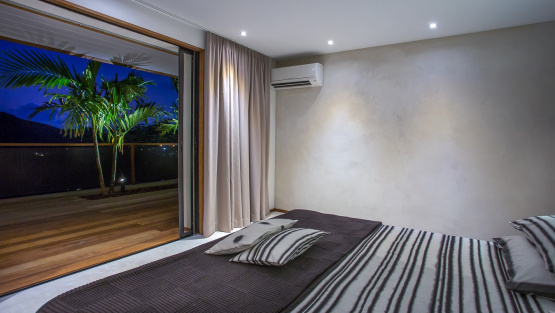 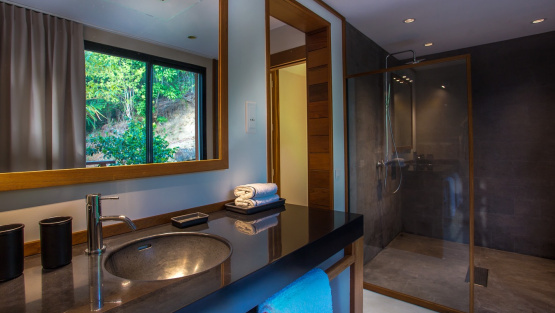 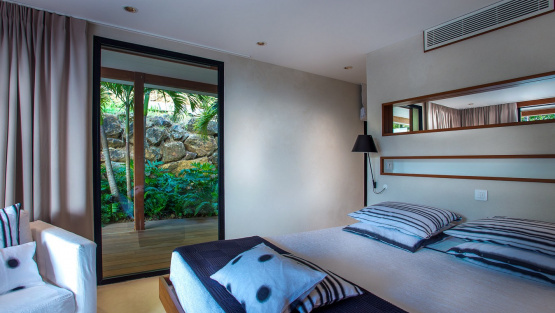 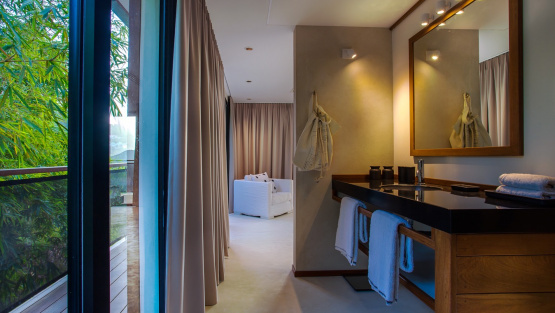 UPPER LEVEL: Euro king bed, extra lighting under the bed, A/C, Airplay speaker, iPod connection, safe, dressing room, ensuite bathroom, rain head shower, screened windows, private access to room, hair dryer, Pool and hillside view, direct terrace and garden access.